A lot of the people I introduce to EVE Online ask about the possibility of playing for free by buying game time codes with in-game ISK. It's a legitimate way to turn EVE into a free-to-play game, but the rising price tag of a 30-day PLEX can make it seem as if only veteran players can afford to do it. New players typically scrape together just a few million ISK by the end of their free trial periods, making the 500 million per month required to pay via PLEX seem like a tall order. With the right guidance, a new player can actually pull in over a billion ISK in his first month or two of play and quickly become able to afford a PLEX each month. Farming missions requires a bit of time investment but can pull in 20-30 million ISK per hour once you're set up, and exploration and salvaging can lead to some unexpected big hauls. There are also plenty of newbie-friendly corps that run group activities, and those who aren't interested in grinding to their first billion ISK might try their hands at trading or turn to a life of crime. It's all possible in the sandbox. In this week's EVE Evolved, I give some practical tips on making your first billion ISK, from scraping together the seed capital to buy your first big ship to reliable farming methods and some more underhanded methods. For your first few weeks in New Eden, you'll be flying small, cheap ships like frigates and destroyers. While this may seem like a curse as you train for bigger ships, it's actually something of a blessing as you can take huge risks with your ships and they'll almost always pay off. This is exactly the right time to steal any loot you can find and even explore low-security space. If the worst happens and your escape pod is also destroyed, your cloning fee will cost only a few thousand ISK. Look for anything you can take to make a quick buck, from drones left floating in space following a ship's destruction to ship wrecks you can loot and salvage. While you can make some decent ISK salvaging NPC wrecks for players in mission hubs, the big money in salvaging comes from the wrecks of tech 2 player ships. These can salvage into rare parts that sell for millions of ISK, and since combat ships tend not to waste a valuable high slot on a Salvager I module, you'll often find looted player wrecks strewn about in space in areas of high PvP and piracy. Explore the low-security space faction warfare areas like the Black Rise and Placid regions, and keep an eye out for wrecks near the stargates. When you find one, make sure no one is around to blow you up while you salvage it, and then get back to safety to sell anything valuable you find. The safest and most reliable way to earn your first billion ISK and secure your PLEX each month is to grind agent missions. Finding an agent used to be a complicated task that was best done by looking up player-made websites like EVE-Agents, but as of the Incarna expansion, the new Agent Finder tool has simplified the process to a few clicks in-game. The Agent Finder tool is located in the Business tab of the new EVE start menu or can be accessed via a pad on your Captain's quarters desk. 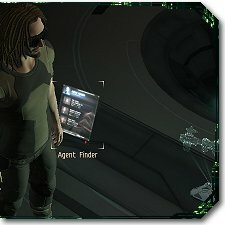 Set the tool to find level 2 Security type agents in highsec and it'll show you a list of all the agents you can start with. High-level agents require you to have higher standings to their corporations before they'll offer you work. You can skip straight to level 2 agents by just training the Connections skill to level 3, but to get to levels 3 and 4, you'll have to run enough missions of the previous level. Security missions are filled with NPCs to blow up and bounties to collect, and once you work your way up to level 4 missions, you'll be able to rake in at least 20 million ISK per hour. 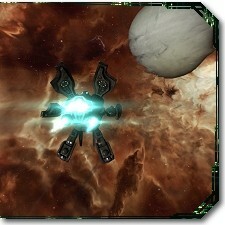 To complete the missions, you'll need to upgrade to a battlecruiser like the Drake, a tech 3 cruiser, or a battleship. You'll probably need to pay for your first month of game time normally, but after that initial month of skill training and grinding standings, you'll be able to farm up enough ISK for a PLEX in less than a week of casual play. If you don't have the patience to pick over the wrecks of the dead or grind your way to riches solo, remember that you're playing the world's most open-ended sandbox MMO in a universe with over 300,000 other people. There are plenty of established corporations out there that will recruit new pilots and can offer immediate access to ISK-making group activities. Veterans in highsec will have access to level 4 and 5 missions and are usually keen to bring someone along to help complete the mission or salvage the NPC wrecks. Nullsec corporations can also give access to lucrative cosmic anomalies and asteroid belts to farm, which can produce more than level 4 missions and without the standing grind. Conversely, the fact that EVE is an open sandbox means you can also lie, steal, and cheat your way to riches. A new player has no reputation to sully and can make a new character without losing much skill training progress. Thievery isn't everyone's cup of tea, but if you're destined for a life of crime, then there are a few ways to make a quick buck at another player's expense. You might try joining an industrial corporation and holding its miners or freighter pilots to ransom, as police don't get involved in combat with other corp members. You could also concoct clever trade scams to part fools from their hard-earned money, which is a lot harder than it sounds but has huge rewards. These are just a few of the ways that you can start to make enough ISK to buy a PLEX each month and essentially play EVE Online for free, but the methods described above aren't the only ones that will work. For those who are more business-minded, trading and manufacturing can produce billions in the first few months. 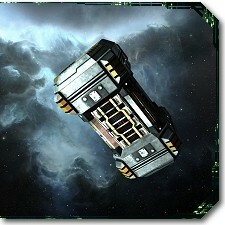 Players will often pay over the odds for items far from trade hubs like Jita and Rens, especially for high-demand items like ships for faction warfare or ammo for mission-runners. If you have another favourite way to make ISK that would help a new player claw his way to his first billion ISK, post it in the comments. If you're a new player just starting out on your journey, feel free to ask questions about making ISK or any other aspect of EVE. Making your first billion ISK is the hardest, but a lot of doors open once you get to that point. Traders can re-invest in a bigger stockpile of wares to sell or buy a freighter to shorten hauling times, and missiion-runners can buy a better ship to farm with. All of this will help you farm enough ISK for a PLEX each month and achieve the goal I think every new EVE player should aim for: playing for free.